My 14 yo son is a golfer who plays golf tournaments all around NSW so it was inevitable that on one of his overnight stays he picked up and bought home some bed bugs. I unsuccessfully tried many sprays to kill them. One solid treatment from bed bug powder / barrier and they were gone. 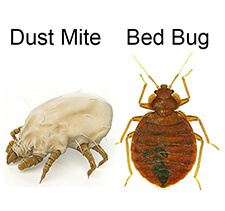 I would recommend Bed Bug powder as the first step treatment to anyone with bed bugs.